Alfie Kohn says that homework is worthless. According to his book, there is no evidence that typical homework is beneficial in any way for junior schoolkids, and minimal evidence that it’s worthwhile for any students at all. In fact, there is evidence that it can be harmful to the kids’ attitudes to learning and stress levels. Homework also has opportunity costs, given that homework takes time that could be used doing something else like physical play, reading or family activities. 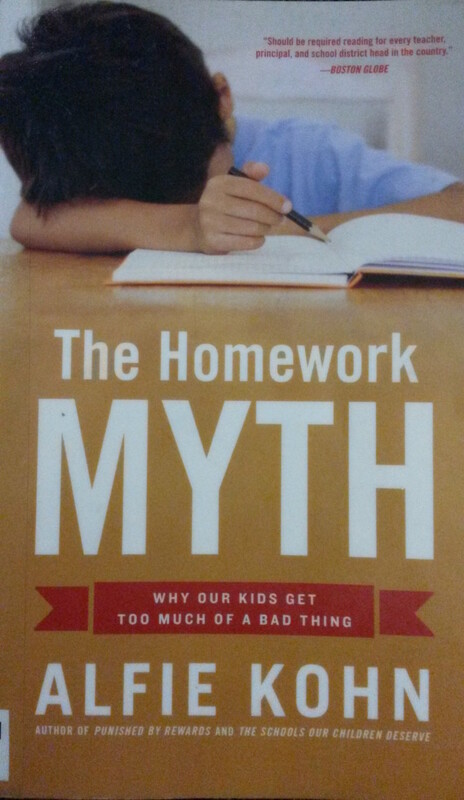 This book lays out Kohn’s case against homework as currently practised. Kohn’s website has a wealth of related essays following up the points in the book. For example, he argues that homework does not offer academic benefits.